Friday DIY & Finds. This is the place where I share some of the things that inspired me this past week. So much inspiration out there, it is mind-boggling. 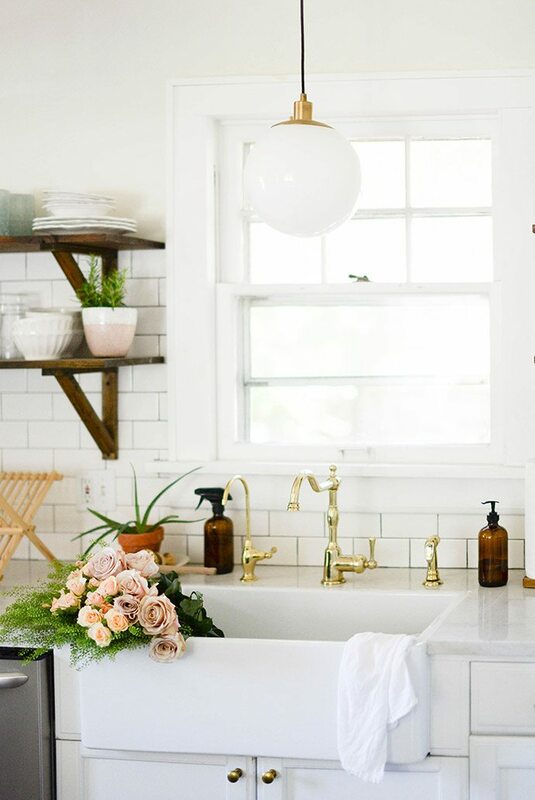 If you're a renter and want some ideas of how to update your space and make it you, then this post with 8 great hacks is for you. How about some removeable backsplash for the rental kitchen. Here's another great example for renters. If you live in a rental there is usually not much you can do to change things up. Well not true with removeable wallpaper. 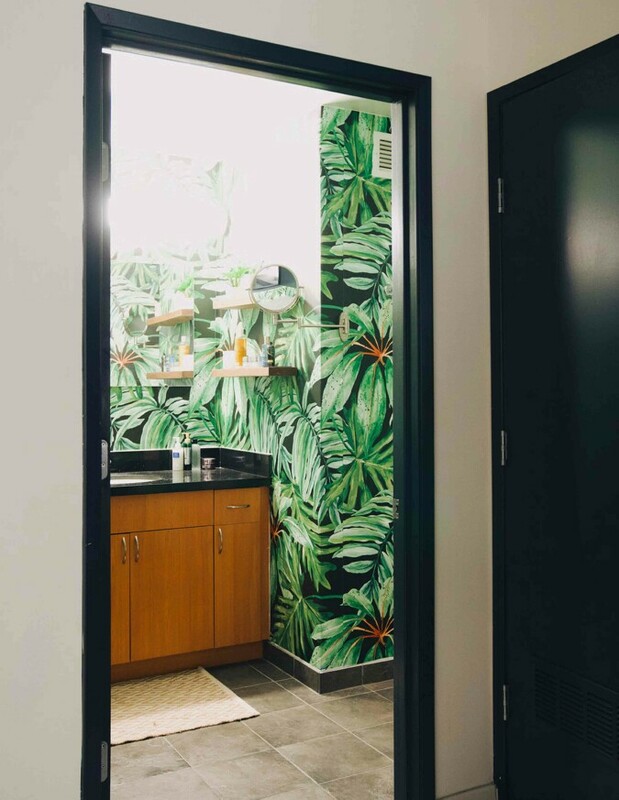 Just look at this bathroom. Everything stayed the same except the walls. I love it when someone takes a small room and gives it such huge style. This is a great little Media Room. You need to see what it use to look like. 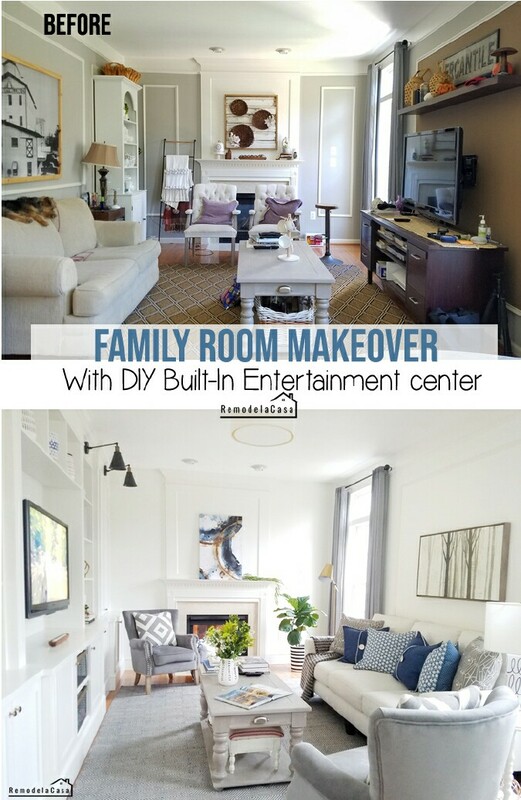 This Family Room Makeover is beyond amazing. Cristina made that fabulous wall unit all by herself. She has tons of tutorials, go check them out. Do you have Bathroom Tile you hate? This might be the solution. 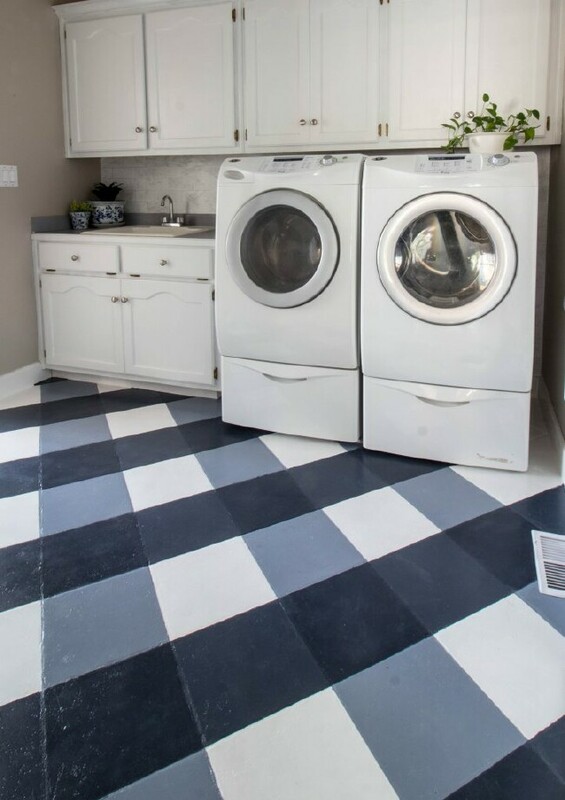 If you are on a really small budget, then here is a tutorial for how to paint your tile in a check pattern for $40. This floor looks amazing. Do you want to know how to Flip Furniture Like A Pro? This series is for you. 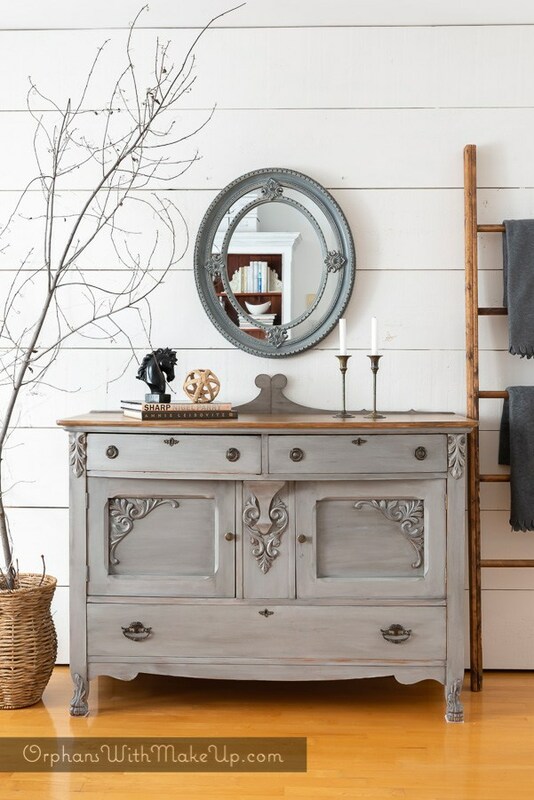 Reviving an old piece of furniture can add that unique character to your home. 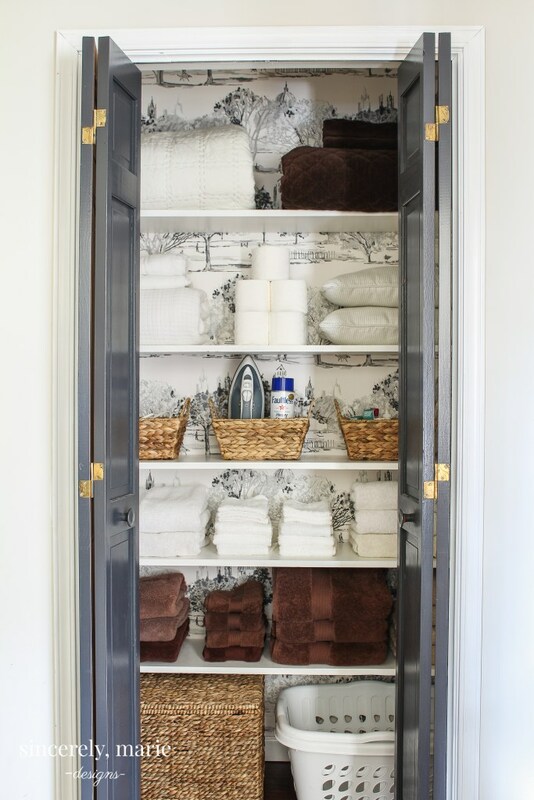 For very little money you can turn your overstuffed ugly linen closet into this. How about adding wallpaper to the back wall. A good purge and a few baskets, and it is neat and organized. Sometimes just switching things around is the perfect solution. 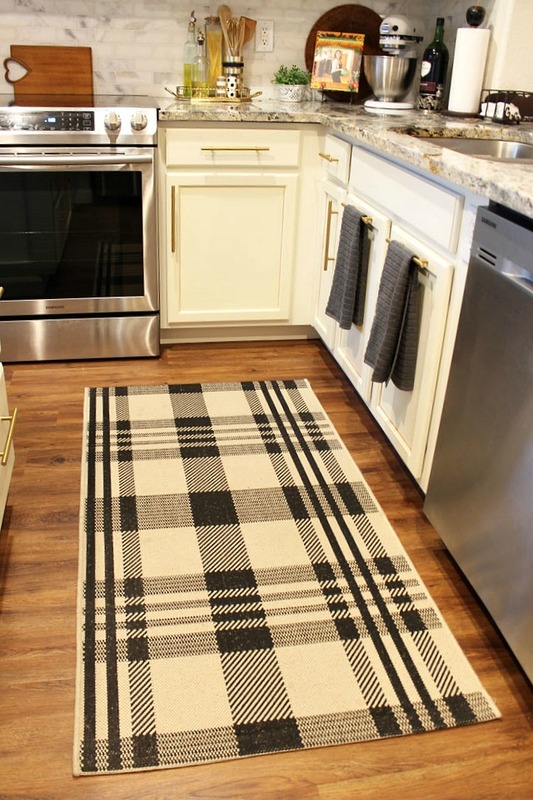 This plaid rug is perfect for the kitchen and the new one is perfect for the bathroom . 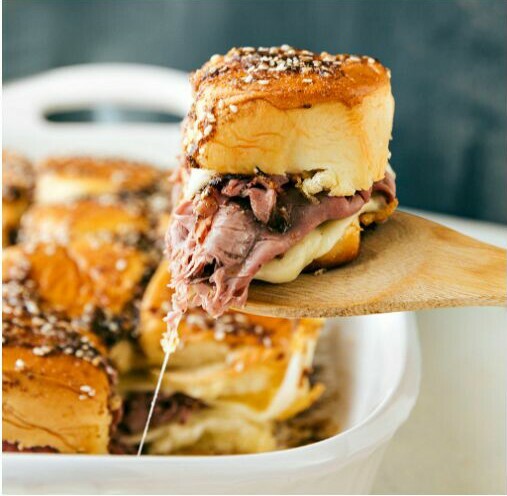 If you need an easy to make crowd pleaser for the Super Bowl, check out these Prime Rib Sliders and other recipes. 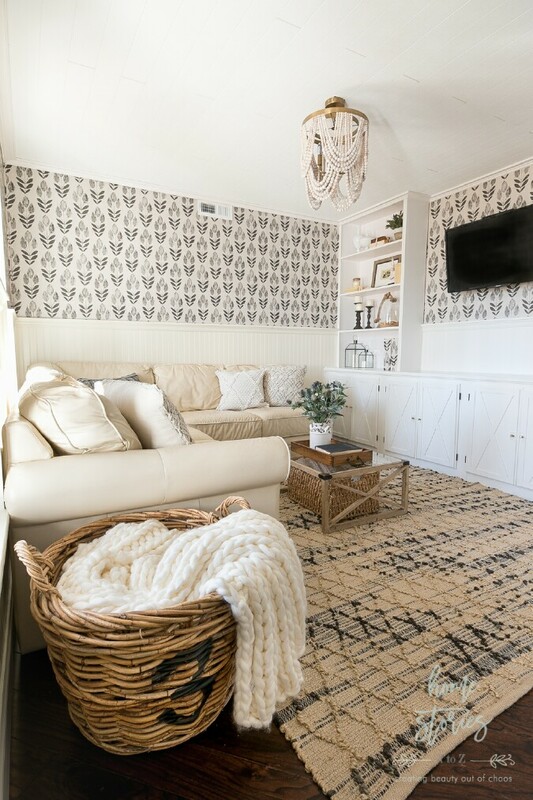 Love that living room transformation ! Fabulous. i really like some of your finds and I love the plaid rug in the kitchen.